Promotional peach lip shimmer w/white tube cap is a curative lip balm, known to offer soothing relief from weather inflicted worries and plump up the lip texture. This delicious and smooth lip balm eases over lip skin and starts acting immediately. It temporarily eases the irritations and makes your lip skin appear smooth, soft and plumper. Health Quotient – PABA free. FDA approved. Crafted with natural, synthetic and semi-synthetic moisturizers and nourishing ingredients Cruelty –free. No quality or quantity manipulative substances included. Hypoallergenic. Directions – Dab peach lip shimmer generously over lips to avoid weather irritations. Use it along with lip make up to grab enriching texture. Discontinue the lip shimmer if irritations appear. It is highly advisable to check the label before purchase. People with sensitive skin should consult with their GP before using this lip balm. 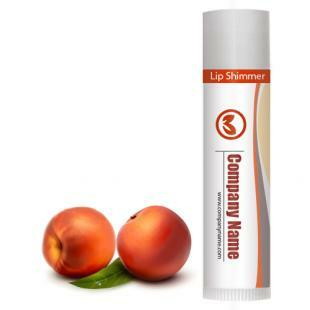 Gifting Favors – Promotional peach lip shimmer w/white tube cap can be gifted to a customer during marketing events, niche conferences, tradeshows, etc.